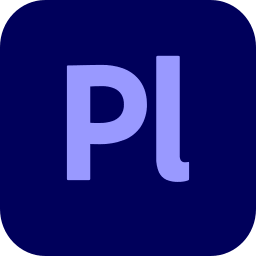 Adobe Prelude CC 2019 is a transcoding and tagging video production software. It is designed for intuitive, efficient metadata entry, that lets you tag and transcode video footage rapidly. ess. Streamline your production process, get organized, and work faster using more connected tools. An interface is designed specifically for video ingest and logging workflows. Speed up your video ingest and logging tasks with flexible new ways to enter metadata in Adobe Prelude CC 2019. Preview clips and create rough cuts that open directly in Adobe Premiere Pro to keep your production vision intact and accelerate the editing process. You can find the clip you need quickly with searchable metadata. Add metadata in real time with keyboard entry, during ingest with custom templates. Or directly from a script created or edited in Adobe Story. Adobe Prelude CC 2019 gives you access to ongoing updates as soon as they’re released. And it integrates with other Adobe video tools for smooth start-to-finish video production. Adobe Prelude CC 2019 is part of Creative Cloud. That means you have access to all the latest updates and future releases the moment they’re available. You also get a more intuitive way to share files with Save to Cloud. Sharpen your skills and master new tools with a rich library of training videos. And with Behance integration, you can share your projects and get immediate feedback from creatives around the world. Script scenes as metadata. Working with scripts created in Creative Cloud, you can drag and drop scenes to link them with footage as searchable metadata. Search with word-specific accuracy thanks to speech transcription markers that stay with your footage throughout the production workflow.